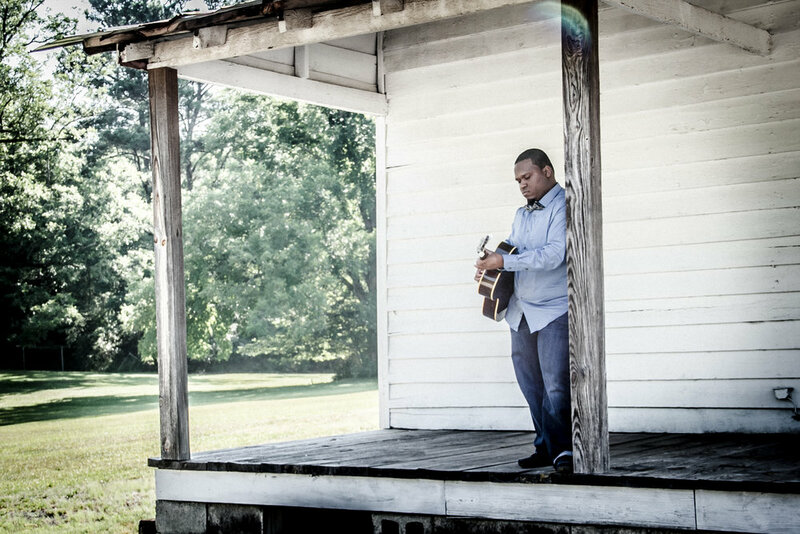 For the just-turned 21 Jontavious Willis, who hails from the Meriwether County seat of Greenville, Ga., about an hour north of Columbus, he humbly just wants to play the blues and soak up its rich history and cultural impact. The 20-year-old Greenville native and Callaway High School graduate’s fingers fly across the fret board with little apparent effort. He seems to play almost as easily as most people speak, and the instrument provides him a voice that speaks from deep within. The young singer-songwriter has already made a name for himself as a prodigy to the dwindling blues scene. A multi-instrumentalist, he also plays banjo, slide guitar and harmonica, among others. "A Sunday evening spent resting at his family’s home in Greenville, Georgia, in-between college classes and touring, Willis, humbled to share his musical journey, eases back to readjust his hands along the guitar, smiling as he begins strumming and singing along." 20 year old Jontavious Willis from Greenville, Georgia is a touring, unrecorded, self-taught mult-instrumentalist who can be seen belting out pre-war blues on Youtube like some kind of prodigy. Jontavious Willis is a student at Columbus State University and a true blues prodigy. With mentors like blues icon Taj Mahal, there can be no doubt that the tradition of a unique American musical art form is being passed down to a worthy young artist.